Now you can have tuition through internet with the top tutors in Malaysia, just like having home tuition at home. The lesson is delivered by the top tutors in Malaysia. All tutors in MyHomeTuition.com have more than 10 years teaching experience. We provide interactive exercises and flashcards for students to do their revision. These learning material has been proven to be highly effective to improve in their study. Click on the link below to see the sample exercises and flashcards. Printed notes will be sent to your house. Click on the link below to see the sample notes. Instead of attending crowded class, you can take the lessons at home, which is much more comfortable. All lessons are recorded. you can replay the lessons at anytime. 6. Time and Cost Savings. With this program, it is no longer necessary for the student to travel to the tuition centre for lessons.This can save the students (and parent) a lot of time and money. In MyHomeTuition.com, we have various plans for our Online Live Tuition courses. The following are the list of the plans and the fee. Because we are so confident on the the effectiveness of this course, we give you a "30 days, no question asked, 100% money back guarantee". If you are not satisfied with this course, simply send us an email and we'll refund your payment, without asking any question. Subscribe to the course and take a lessons. If you are not satisfied with it, ask for a refund. There is no risk for you. The money back guarantee is valid for 30 days after your payment. 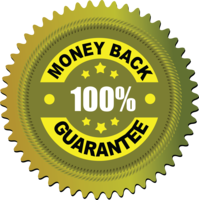 Click here to learn more about our 100% money back guarantee policy. 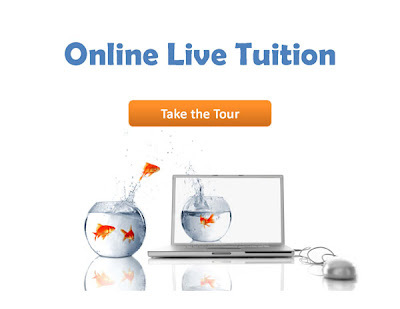 We will also give free trial lessons from time to time, for students to experience the effectiveness of our online live tuition. The following are the most recent free trial lessons.